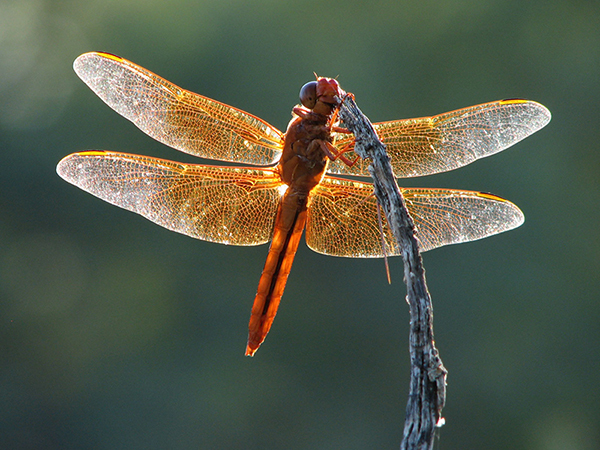 Dragonflies have been around longer than dinosaurs. Except for size, they’ve changed little through time. They’ve gone from a wingspan about the size of an adult shin (between knee and ankle), to palm-sized (stretching between a fully extended thumb and pinky). Evolutionary biologists believe that size reduction is connected with decreased oxygen levels in the atmosphere. 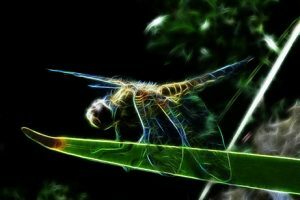 Dragonflies are fierce hunters, expert flyers, and the subject of artificial intelligence and robot developers. 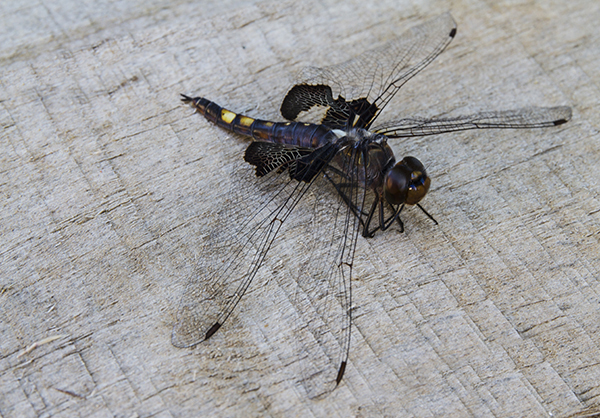 Recent dragonfly brain studies can now explain the mechanisms behind the aerial acrobatics. 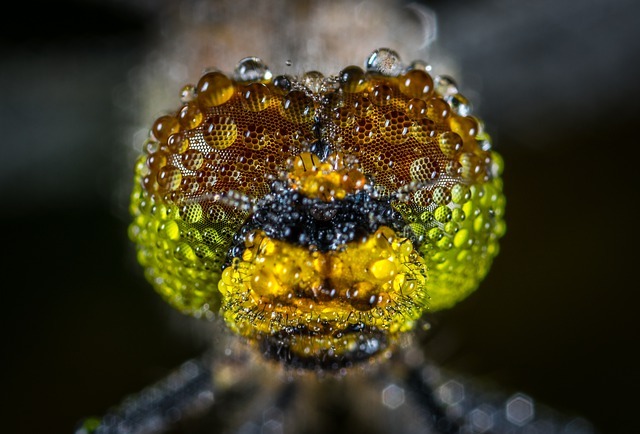 Like the human brain, dragonflies have target-detecting neurons that track moving objects and predict where it will go. Swarm behavior is still not fully understood, but puzzle pieces are falling into place as scientists amass data. Biologists know there are static (food source) and migratory swarms. The two types may be related. 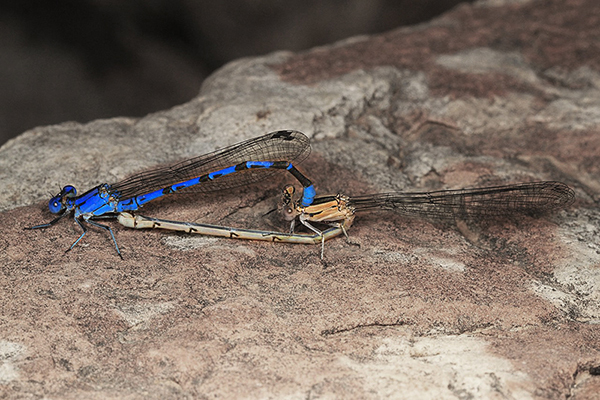 Mating – Mid to late summer. 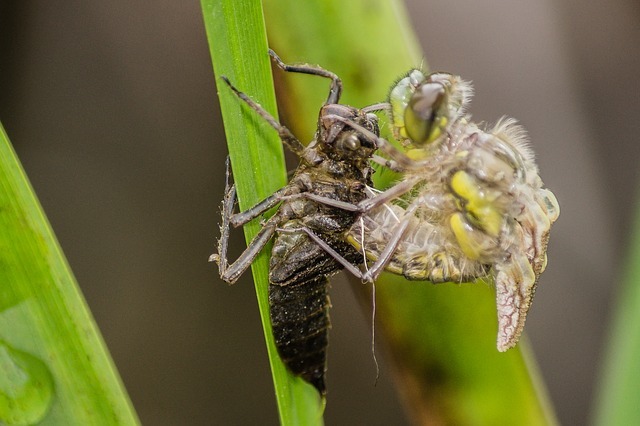 Egg laying – Females lay eggs in still waters on submerged aquatic plants or in shallow areas. 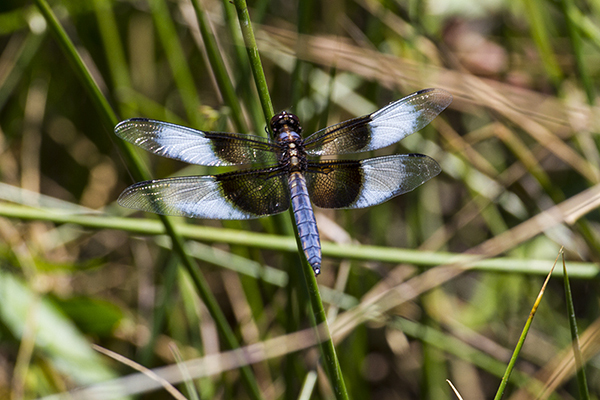 In cooler zones, like Nevada County, dragonfly eggs wait until spring to hatch. 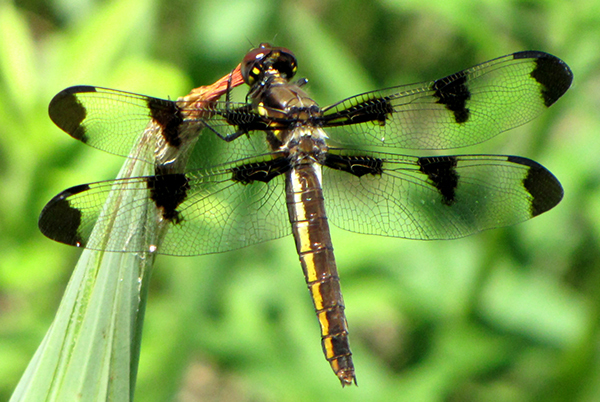 Nymph – Molts up to twelve times and can live for as many as four years in the water. 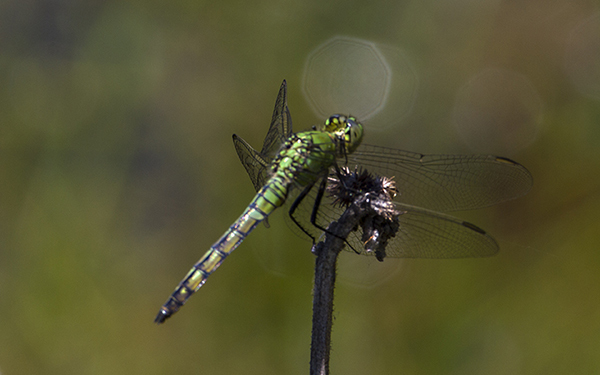 All dragonflies must have clean, fresh water to live. 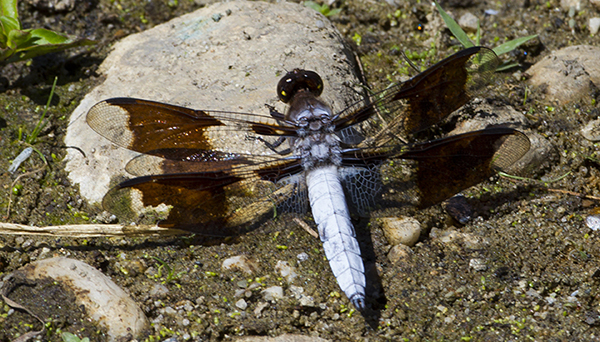 Adult – The final molt is completed above the water’s surface in late spring or early summer. They live only two to four months before dying. 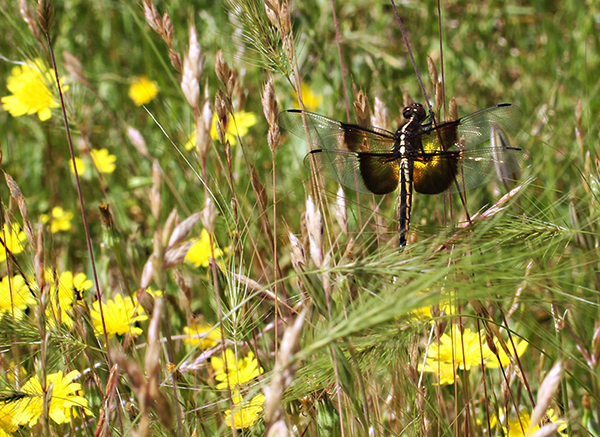 Websites devoted to dragonfly symbolism are diverse! 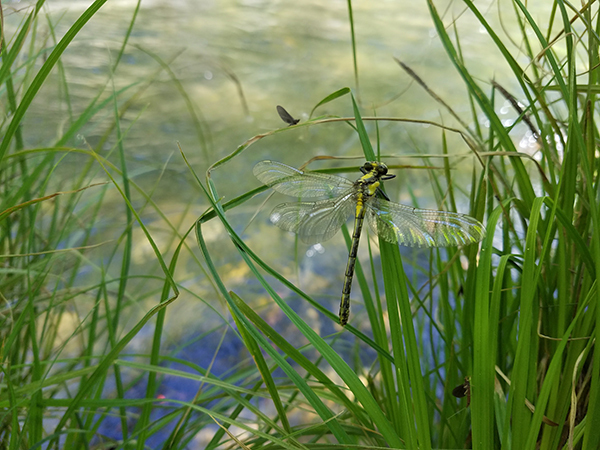 The meaning that cultures apply to dragonflies seems to be as diverse as the people who observe them. Below are a few examples. 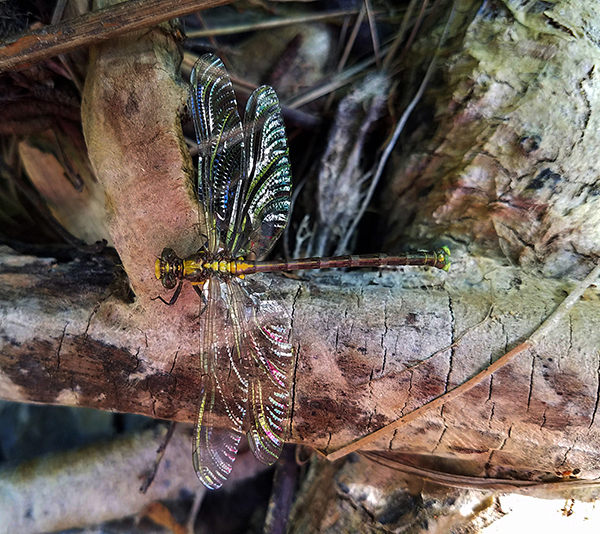 Bay Nature magazine – Why Do Dragonflies Swarm?